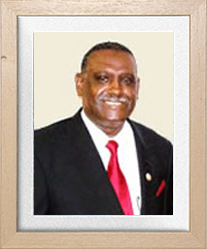 Owner and founder Larry G. Acklin has prided himself on providing the best funeral services to all for over 30 years. An Arkansas native, Mr. Acklin continually enhances his professional role by striving always to maintain the highest standards, the lowest possible service costs, and superior service levels to families who select Larry G. Acklin Funeral Homes throughout central Arkansas. Mr. Acklin's innovations in providing excellent service to the public distinguish him as one of the most respected leaders of his profession. The company logo is the "praying hand", which symbolizes that the company was built on prayer since its beginning. Larry G. Acklin says, "Our goal is to continue serving Arkansas families for many generations to come, offering them the finest in dignified, professional and friendly services". Always letting our families know that, "In Your Time Of Need...Larry G. Acklin Funeral Home, Cares."